Can you really learn how to organize your pictures in just 5 steps? 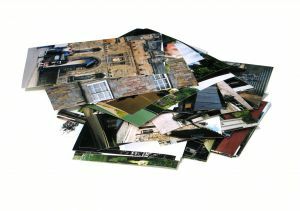 If you have been trying to find a simple way to organize your growing collection of digital pictures, you are probably frustrated by now because everyone seems to have a different method. Why is my method better? Because it is simple ! Yes, I believe it is the simplest and most efficient method to organize your digital pictures…for most people. My simple method to organize your digital photos folders is based on events because this is how most people search for photos. The steps are all centered on creating a simple and efficient folder structure organized around the events that occur in your life. Why events? The steps are simple: establish one folder as your base, create sub-folders for large categories of events, create a sub-folder for each year of events, create an efficient name for each folder containing photos from a particular event. Last but not least…be consistent and persevere. Why not learn how to organize that “pile” of digital pictures? This picture organization method is based on events. Why? It’s simple: our lives are filled with events, some more important than others. From getting up in the morning, going to work, getting a hair cut to traveling, getting married and giving birth, the events in our lives vary in their impact to our lives. Those events that are most important to our lives become the subject of our pictures. So the basic criterion of organization must match the main subject of our lives. All your pictures folders should be contained in only one folder. Usually it’s My Documents/My Pictures or just My Pictures. You must start here, otherwise you will be lost. The next step is to create a folder for each significant category of events. The criterion for this folder structure is events. We’re creating folders for significant categories of events. The criterion for this folder structure is events. We’re creating folders for significant categories of events. These folders DO NOT represent the subject of the pictures, but they are groupings of events. The structure shown below outlines the folder structure created for a fictitious family: FAMILY (pictures containing family events, WORK (for all pictures containing work events) and HOBBY (for pictures containing events from their hobby). These folders DO NOT represent the subject of the pictures, but they represent groupings of related events. We’re just grouping the events into large categories that do not overlap. This way you’re dividing a large quantity of event photos into more manageable chunks. This will help you a lot when you want to find specific photos. There is one thing still missing. While adding event category folders certainly helps, the FAMILY folder will grow very large very quickly as time passes by and events accumulate. So, “divide and conquer” is required here. For this reason I recommend creating a folder for each year in the FAMILY events folder. You may add folders for years in the other event category folders as well but that may be too much for a folder like WORK where there might be only one or two events per year. However, if you anticipate that any category of events will grow very much, then you should add folders for each year. If you anticipate that a category of events (i.e. FAMILY, WORK) will grow very much, then add a sub-folder for each year in that event category folder. This way you can divide the quantity of photos even more. This is the most important step. The folder structure you create here is the backbone of my photo organization system. In order for us to remember an event we need three pieces of information: an approximate date, a place and a short description (read How should you name your event folders? ). You must include all of these in your folder names in order to be efficient. 2 digits for the day – the day is not required, but if you remember it put it in the folder name. If an event spans more than one day, use only the month. event place – use one or two words to describe the place. You can also use abbreviations that make sense to you. short event description – you need two things: the place and a description of the event. Use a max of 3 short words to describe the event. don’t leave blank spaces in the folder names, instead use the minus sign between your words. This way your folders will be automatically sorted properly by your operating system. Examples of good folder names: 2006-08-11-tony-restaurant-dads-bday, 2005-07-california-family_trip. Now, use the same techniques every time you transfer more pictures from your camera to your computer. However, it is very important that you remain consistent every time you transfer new pictures to your computer. If you become lazy again, you will have to go through the same process later on. However, it will take more time because you will not remember what has been organized and what hasn’t. Congratulations! You have just organized your digital photos in 5 easy steps! For me organizing photos by date is a waste of time. I can’t remember the year let only the month or day. For me filing a photo by date creates more places to hide the photo. I’ve taken trips that last for 2 weeks and I’ve taken 4 or 5 thousand photos (300 or 400 per day). The day that a took a photo is meaningless when I’m looking for a photo of Venice. My system has flaws but it works for me. I use about 10 major groups with subgroup and with subgroups of the subgroups as far as needed. My groups include travel, animals, family, sports, and a few others. If I travel twice to a place I add the year to both folders. I usually have 30,000 or 40,000 photos and can find most anything I want in a couple minutes. I usually file animal photos by type of animal and not location except pets which are under the family folder (it’s my system). If 2 different animals are on 1 photo I pick an animal and go. I use Lightroom and add keywords and have some photos designated with 3 or 5 stars. I can search for a photo in a number of different ways and each way has meaning to me. Ed…it looks like you are looking for photos by category instead of date. Most people look for photos by date and they add tags for location and categories. Of your main search criteria is category then your folders should reflect that. For me, having 3 times as many pictures and two kids, searching visually by date is the most common…thus the date folders. Just saw this post from 2008 and made me wonder how much has changed in this space in the last 8 years and how much has still remained the same! We are a photo tools startup and I’d love to share our photo organizer product Tru (http://www.truorganizer.com) – it’s dead easy and helps users gather photos from all places, de-dupe them and put them in a consistent format in a destination folder of their choice! Would love your feedback. Ray…I understand the frustration, however this article is not a Picasa tutorial but a good general approach to organize your photos regardless of the program you are using. Picasa has a difficult way of creating a new folder in Picasa (click to read how to do it. When getting started, the best way is to create your beginning folder structure with windows Explorer or Finder on the Mac. Hope this helps. This was a great article. I just have one question. What do you name the actual picture file? Marc…I only add the date as part of the picture file. This is done automatically when I import new photos from my camera to my computer. Fast Stone and Lightroom have this feature. Other than that I do not change the original file name generated by the camera. Luis, I agree with you and do the same. My folders are YY-MM – Event. This allows me to find photos fairly quickly via the folder structure, and negates the need for photos in duplicate categories. I believe having a category above the date causes confusion for most people. Beyond this fundamental organization, I use software, but only software which allow me to keep that folder structure. I’ve been using one listed in http://en.wikipedia.org/wiki/Image_organizer as mentioned above, specifically DBGallery. Note: I am involved in the building of that software, but I also have a collection of 65,000 images for personal and stock photography sales, and find it does everything I need. Glenn…having a category above the year folders and date folders is not confusing when you have lots and lots of photos. Having the ability to divide your digital photos in large “event” categories helps a lot when navigating folders. For example, I divide my “hobby” event photos from my “family” event photos and it helps tremendously with visually navigating my folders. The first rule for organization of digital photos should be to delete everything but the best photos before even thinking about storing them. I would say only keep 20% – or 1 out of 5 images shot. I have maybe 200 to 300 photos of myself as a child, and maybe 3 videos (on super 8). I can’t remember the last time I looked at a single one of those, but when I do, they are precious — because they are few. Why in the world would my kids need 10 to 20,000 photos and videos of themselves? Hi there Vlad! My question is when I rename the pictures in a folder… how come it puts the first picture at the very end of the group of pictures?? Is there a way around this? Thanks. Sandy…good question! Not how you’re renaming your pictures and where you are looking…but normally you should be able to refresh the contents of the folder (by pressing F5) and the images should be sorted with the first image first. If not, you can try clicking on the Name column header and the files will be resorted…if you click again they will be resorted in ascending order. The best image organizing – is the automated one, I think. When you don’t need to spend your valuable time. For some simple image organizing (based only on image sizes and aspect ratios) you can use img-find script. I agree in principle that have things on auto-pilot is the best…however it’s not practical at all. Most people, myself included, don’t care about image sized and aspect ratios as far as their pictures are concerned. Most people would like to have things organized by events because our lives are built around events…small or big. This is why I recommend having an efficient organization method based on events and automate this approach as much as possible. Luis…thanx for sharing your method. First I was a little confused…because my method is also “events” based. Then I realized that you have mistaken the category folders (MARY, FAMILY, CHURCH and WORK) as “subject” folders instead of “events” folders. I have made the Second Step more clear…I hope. These folders represent groupings of “events”, they are events that happen for FAMILY, events that happen for daughter MARY, etc. They do not represent the subject of the pictures in these folders. So, our methods are actually quite similar when it comes to folders. I’m just adding this extra level of folders to categorize my events and thus be able to divide the quantity better. I hope this is clear…and thanx again. My method for organizing photos differs quite a bit – it’s based on dates and events. As for the specific subject of each photo, I take care of that in tagging. Are you asking about renaming pictures in group? Or renaming folders in groups? Pictures are easy to rename in groups. You can use most Free Image Viewers…they have a feature called Batch Rename. However, you don’t need any software…Windows XP (assuming you’re using windows) has a quick way of doing that…you select a group of pictures and you RIGHT CLICK on the first one and choose rename…you rename that one and then all the other pictures selected in the group will be renamed just like the first one plus a counter at the end. Great system thanks. I have thousands of old digital with messed up names, but I do have them organized in one folder with sub folders. Do you have a way to rename in groups. Get Memory Manager. It costs only $39.95 and it is a great software. You can find a picture (even if you don’t remember when you took it) in a matter of second. The way you organize your photos is very impressive. I love it. I agree with the comment about the drawbacks of tagging software. I was using an application on a pc and spent quite a lot of time and effort tagging my photos. We switched to an iMac about a year ago and the loss of that information was difficult. I’m reluctant to start over again with the tagging process. Answer to KR. First I appreciate your comment. Secondly I do agree with you partly. Unfortunately my hosting provider disappeared a few months ago and I have lost quite a few posts. I have written a post on my old site comparing photo organization done through tags and organization via folders. I was explaining the pros and cons of both. My take is that folder organization is most efficient for home users. I do agree that by using folders you can’t have one picture belong to two folders…however, most people don’t need that. The biggest drawback of tagging pictures is that you have to spend a lot of time developing tags for your pictures. The second biggest drawback to tagging is that your tags would not work in another tagging software. If you’re using Picasa then you have to stick with Picasa, otherwise all your tags would be gone if you’re using a different program. The method I’m presenting is my method and it’s based on my experience with different software and methods. I have had my share of picture tagging…I gave up because it was taking too long, even with bulk tagging. Organization using folders is a lot more portable from computer to computer and makes finding pictures a lot easier even without using your favorite software. My method doesn’t preclude someone from adding tags to their pictures. If you organize your pictures in folders then nothing stops you from adding tags to your pictures also. This way you can do both. The problem with organizing by folders is that often, a picture belongs in multiple folders in different places–no matter what the top folder is. Example: Suppose you have a picture of your dog, your friend, and your spouse at central park on July 4. One for each year. How do you find (or categorize) all of them quickly? Another example: Suppose you have 4,000 landscape photos from an art collection you purchased online, but sometimes you get a picture that fits all categories of “architecture”, “astronomy,” and “seascapes”? And by the way, they don’t have dates on them. Solutions: The real solution is to use a photo organizer that can “tag” images. (see http://en.wikipedia.org/wiki/Image_organizer for a list). That way, you can search by tags rather than folder, so when you want to find all birthday pictures of your grandmother, you select “birthdays” and “grandmother” — voila, you can see her last 15 birthdays (or however many you’ve tagged). I also have a tag called “favorites” Most photo organizers (not all) automatically find the date stamps on your images, so you don’t have to manage the date unless it’s incorrect (it usually isn’t, if it’s from your digital camera). To find a photo organizer, I suggest visiting http://en.wikipedia.org/wiki/Image_organizer because organizing by folders “just doesn’t work” in the digital age with thousands of pictures–and eventually you will have thousands.